Judd has been involved in commercial real estate development since 1982 after spending four years trading municipal bonds with First Charlotte Corporation. After entering the commercial real estate business with Spaulding & Slye in 1982, he began his retail development career with Lat Purser & Associates in 1983 and formed The McAdams Company in 1997 focusing on grocery-anchored shopping center and town center redevelopment. 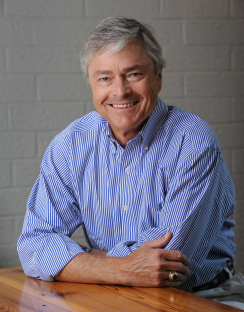 He has developed centers for Food Lion, Harris Teeter, Walmart and Bilo; developed the former Belk building in Belmont, NC as a mixed use residential/commercial tax credit redevelopment; developed Cornelius Town Center, and more recently was a development partner in a 64 unit senior housing tax credit project in Concord, NC. In 2000 Judd, Hall Johnston and Doug Hammond joined forces and formed Real Estate Development Partners, LLC (RED Partners). RED has developed grocery anchored retail for Harris Teeter and Food Lion, medical office buildings, mixed use retail/residential, residential condominiums, commercial rehab, and as the preferred developer in central and western NC and SC for a national retailer, developed 28 stores over the past six years. Judd focuses on new project development, tenant relations, site selection and layout, finance, joint ventures and investor relations. Judd is a Charlotte native and is married with four grown children and four grandchildren. He enjoys all outdoor activities including hiking, backpacking, boating, hunting and kayaking. Civic involvement includes the Board of Managers for YMCA Camp Thunderbird. Additionally, he gives his time to The Hampden-Sydney College Alumni Association Board, Christ Church Charlotte in various capacities, and serves on the board of Sharon Towers.